Get inspired by grand entrances that are just amazing! Front gates are often an afterthought, and some homeowners just settle for generic metal bars. 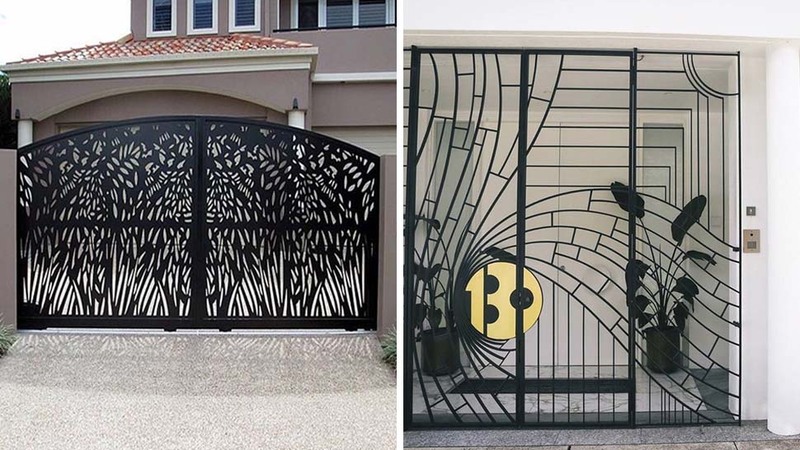 But gates should be treated as the grand entrances that they are—giving guests a taste of the style of the home and the personality of the owner. Staggered metalwork patterns on a clean, linear gate make this style work for grand but modern-style homes. This is a simple but bold gate. The circle is a lucky touch too—it resembles a Chinese moongate. If your house is contemporary-country in style, this gate in the East Coast of the US—which combines all the country details like a picket fence and latticework—is perfect for you. This midcentury-era gate in Dallas, Texas combines a grid with metal squares to add privacy. It’s an easy but graphically striking solution. This glamorous gate in Sydney with a flowing, swirling pattern also has Art Deco touches, as seen in the door handle. This technique has become a growing trend, as it could let you customize intricate patterns and designs. You can have something like this done locally at Cutting Edge, tel. (02) 837-2773 and 837-0687. Another lasercut gate, but with a more traditional, whimsical design. The birds are a nice touch. If you want to go all-out Beverly Hills, check out this amazing travelers’ palm gate in California! If you’re dreaming of your own ranch, this gate (and fence) type can work for your vacation home in Baguio or Tagaytay.